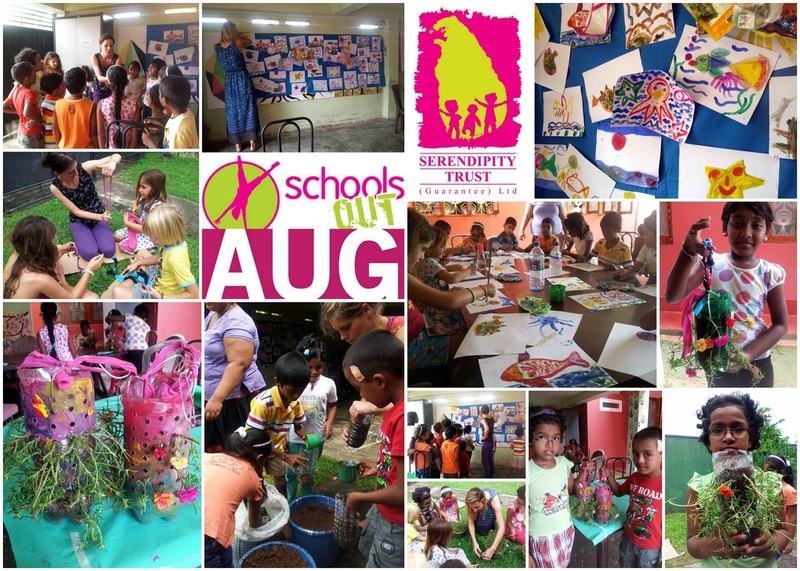 A group of Eco-conscious kids enjoyed the Recycled Flower Pot Workshop this August. Participants took part in fun warm up activities before creating a collage mural of underwater creatures. Facilitators Nadia and Kate shared important information about protecting Sri Lanka's unique flora and fauna before recycling old plastic bottles and creating beautiful hanging flower pots.